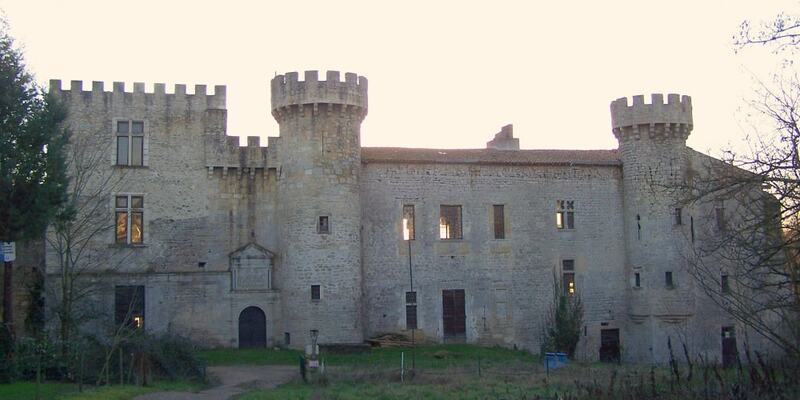 The Castle of Guilleragues originated at the beginning of the 14th century as a fortified house flanked by two towers and two watchtowers at each extremity. The building was enlarged in the 16th century by the De Lavergne family and many decorative features were added, which changed the castle from a fortified structure to a more luxurious stately home. In the 17th century, the residence belonged to Gabriel-Joseph de Lavergne, Vicomte de Guilleragues, a brilliant diplomat who was secretary of the King's Chamber and later ambassador at the Ottoman Court during the reign of King Louis XIV. The castle fell into ruin in the 19th century but it was restored at the end of the 20th century. It is privately owned and not open to the public.